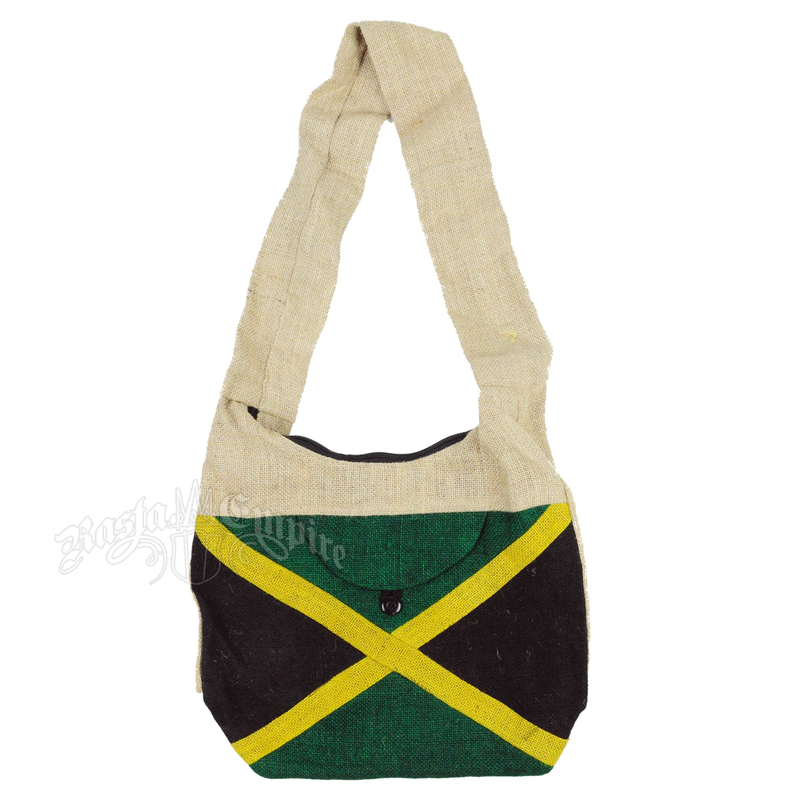 Made from natural jute fabric, this shoulder bag keeps most of its tan coloring except for the pattern of a Jamaican flag on the front. Has a zipper closure and small front pocket. 75% jute 25% cotton. Measures approx. 13" X 15 3/4".